Steven (Chicagoland, United States) on 28 March 2019 in Plant & Nature and Portfolio. Spotted at the Garfield Park Conservatory in Chicago, Illinois on February 2, 2019. I like these places where the green soothes and offers beautiful discoveries. Hello!, wonderful photo best colors! Cette serre est vraiment de toute beauté ! Espectacular imagen, con maravillosa luz y color. ***** Saludos. Beautiful composition of the walk in a warm, humid atmosphere with beautiful trees like a journey. A great place to visit. Superb image of these palms. What a beautiful place to wal. I love the drooping palms. Beautiful...but for that even path, it would seem as if you were n a tropical forest !!!! La verdure est intense et donne envie d'exotisme. An impressive walkway through these giant leaves. I think it makes an effective picture. Very well done. Nicely spacious and lush ! 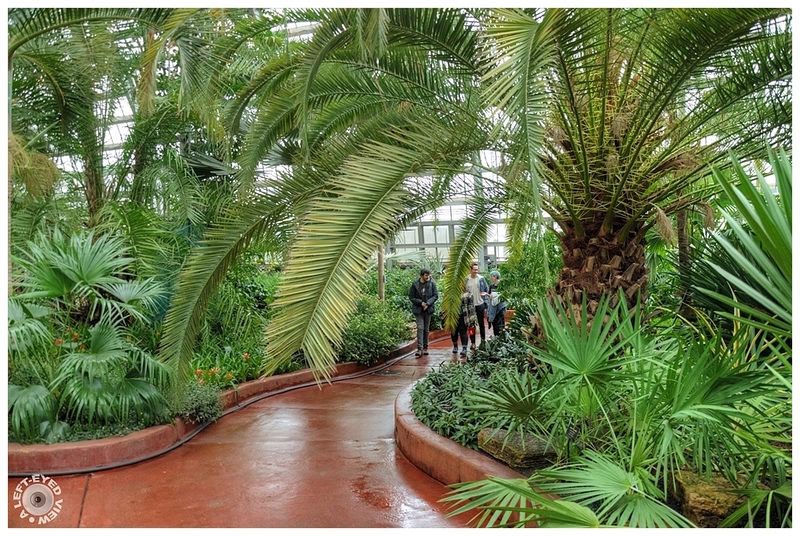 la serre vaut certainement la visite..
An amazing image of this wonderful space full of palm trees. I love the composition and the beauty. A wonderful walk among beautiful palm trees... Great shot! This is an amazing place. I really like that so much was dedicated to the palm plant. There are so many varieties. This is a beautiful composition. It looks like a very interesting and pretty place for a walk. they appear to be approaching a fork in the trail.... which way will they choose to go? Une promenade sereine et entourée de verdure tropicale. I can almost feel the humidity of this tropical house, Steven. I can tell that you loved it. The lane is actually very inviting. Did you see any mist room there? Impressionnante serre !!! Le cliché est très réussi ! Amazing, what a beautiful big palms! The choice of the color of the paths was very well thought out. Before the green of the plants, the paths give the illusion of veins. The relationships between the people and the huge palm trees are clearly visible. What a wonderful, huge palm... and it seems, lovingly planned out!